It’s hard to believe another year has flown by here at GM Authority. Through the past 365 days, we’ve covered the good, the bad, the ugly and everything in between as your ultimate destination for everything General Motors. As we wave goodbye to 2016, we’ve compiled six moments that defined GM during the year. From vehicle launches, new ventures and bets on the future of transportation, we’ve tried to cover it all in this Year In Review. General Motors took the industry by storm when it debuted the Chevrolet Bolt EV concept vehicle. That wasn’t the end of it, though, as GM CEO Mary Barra publicly stated the 2017 Chevrolet Bolt EV would launch by the end of 2016. 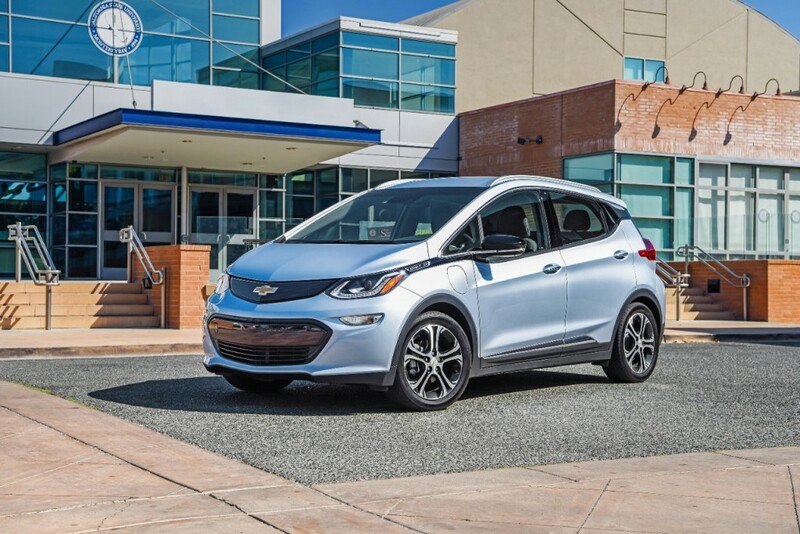 The automaker, and Barra, kept their word as the first Bolt EV deliveries took place on December 13, 2016. Not only has GM brought about the first affordable EV to market, but its 238 miles of range should help curb consumers’ fears of range anxiety. And, as of this writing, the 2017 Bolt EV has also picked up numerous Car of the Year awards. 2017 looks bright for the Bolt EV. Way back in the beginning of 2016, GM announced it would launch an all-new brand. However, this brand wouldn’t be responsible for selling vehicles; the brand would be responsible for sharing them with the masses. Maven launched as GM’s personal mobility brand, beginning in Ann Arbor, Michigan. To date, Maven has clocked millions of miles through car sharing and launched in dozens of additional markets across the United States. 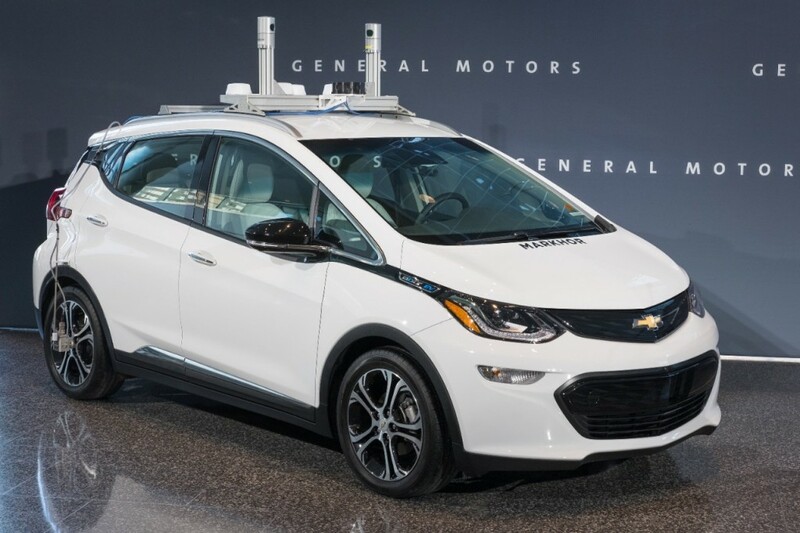 Not only did the state of Michigan pass the nation’s first laws and regulations making self-driving cars legal on public roads, but shortly after the law’s passing, GM announced it would begin testing autonomous vehicles on public roads. The automaker stated it would also begin building its next generation of autonomous vehicles at the Orion assembly plant in Michigan, a move that signals the beginning of the automotive industry’s autonomous revolution. To help accelerate its initiatives in the space, GM acquired Cruise Automation in 2016. 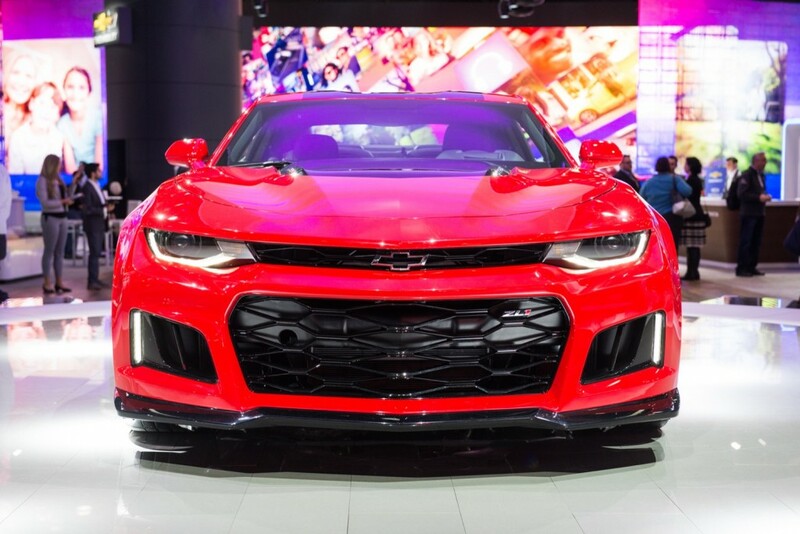 2016 brought the reveal of the most powerful Chevrolet Camaro from the factory: the 2017 Chevrolet Camaro ZL1, which busted onto the scene at the 2016 New York International Auto Show, will be GM’s first application of the 10-speed automatic transmission developed jointly with Ford. And while 2016 also brought the 2017 Camaro 1LE in 1LE V6 and 1LE V8 flavors, sales of the sports car started to slide, a by-product of higher prices, according to Chevrolet. General Motors continued to turn around its prestige-luxury Cadillac brand in 2016 by launching two vital products — the XT5 midsize crossover and the CT6 full-size sedan. Though not a “genuine” Cadillac in the eyes of some as a result of sharing its architecture with “lesser” GM vehicles such as the 2017 GMC Acadia, the XT5 will undoubtedly sell in relatively high volumes thanks to the seemingly-insatiable crossover craze. 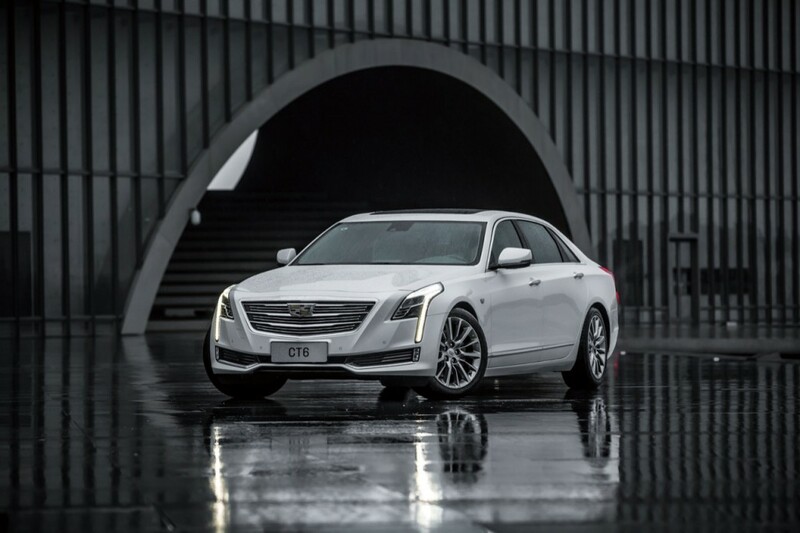 Meanwhile, the CT6 establishes a new pinnacle of Cadillac’s sedan range, while also commemorating the first time a modern full-size Cadillac sedan rode on a dedicated platform. 2016 also continued Cadillac’s expansion outside the North American continent, marking the first full year that Cadillacs were produced in China for the local market. 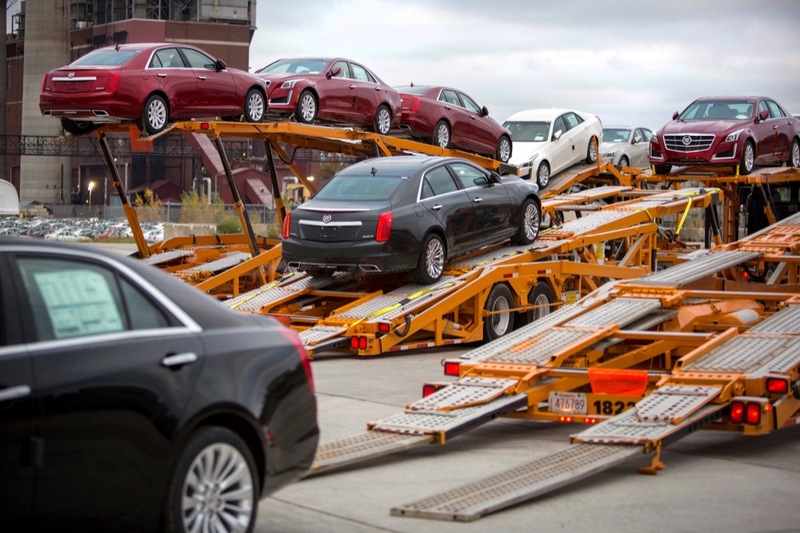 Local production in China circumvents the country’s hefty tariff on imported goods, enabling Cadillac sales to top 100,000 units in China for the first time ever. We’re leaving our list with this story, which will continue to develop well into 2017. Calendar year 2016 saw a major market shift for every automaker: passenger cars such like sedans are dwindling in popularity. Instead, thanks to cheap fuel, consumers are turning to crossovers, pickup trucks and other utility vehicles for their new vehicle purchases. This means excellent vehicles like the Chevrolet Cruze, Camaro, Buick LaCrosse, Cadillac CTS and others are falling drastically short in terms of sales volumes. It also means higher incentive spending on sedans in general. GM announced it would idle five U.S. plants for two weeks next month to help curb its inventory glut. As of December 1, the automaker had around 874,000 vehicles sitting in inventory, the most in eight years. Industry-wide, a 60-day supply of vehicles is known as a healthy target, while GM’s figure was hovering at roughly an 87-day supply. As always, thank you for reading GM Authority and we look forward to seeing you in 2017. We know that you’ll be there jumping up and down ready to spit on the last sedan to roll off an assembly line, because the world will be a better place when everyone is forced to drive what Rye likes. I hope they are not on their way out the door. Sedan, coupe’s, wagon’s, crossovers, SUV’s, pickup’s, vans they ALL have a very special job to do and are very important to diversity. I honestly believe that if manufacturer’s get rid of sedans they will be making a mistake that will take some time recovering from. Sedan sales are just slow right now because the “crossover” is a recent item on the market. Just like everything else crossovers with slow down just a little and then sedans, coupes, trucks, all of that will come back into fashion. About the time the next economic or fuel crisis comes around these higher fuel consumption SUV things will tank as the public jumps to the econoboxes again. It all goes in cycles it seems. ware are the big land yachts of the 1960s and 70s with the 225 inch Long bodies…are those coming back….no there not…lets hope that won’t be another economical crises and if there is…they will make CUVs lightweight and fuel efficient…. the low slung sedans are falling out of popularity….they just need to put more effort into Utility vehicles. Gas prices are predicted to rise this year, Rye, and this will boost sedan sales. Today’s sedans are the modern day expression of old school land yachts. Not everyone likes or wants what you enjoy. Some of use value great handling and a lower seating position. Your that annoying guy who thinks biggest is always best. The refusal of GM to admit that they knew about the faulty ignition switches and tried to bury the information in the hopes they wouldn’t be found liable for the deaths and injured people that was the result . And the blame game continues . GM’s hopes of turning their luxury division around by giving their Cadillac CEO a 12 Billion dollar check and seeing their sales in the U.S and Canada stall . Buick was the star this year with healthy profits and actually building what the consumer wanted . Their large SUV’s are hot, hot, hot . And the highest TAP’s in the industry . China continues to be the focus on almost every decision GM makes as they continue to expand sales in the country . Stock prices that haven’t benefited by the rise in the stock market as analysts are concerned that GM is behind oyher manufacturers in building vehicles customers are looking for . Plus the statement that GM has enough cash on hand if the U.S economy weakens . And that is what GM is in business for is to make money . With Trump the economy is sureto weaken. Tax cuts for the rich always create rapid boom and bust cycles. I’m still holding out hope that Swamp Creature Drumpf will back out of that campaign pledge just as he has so many others. But since he actually stands to gain billions from said tax cuts, as the economy stands today I should add, I’m not exactly holding my breath. Trump will not lower taxes. No American president has ever lowered taxes. But then again no American president has ever raised taxes. It’s Congress that handles taxes not the president. True but it is the president and his administration that will put forth the bill to lower or raise taxes to congress. than bring back the great design sedans from the golden years….cars have gotten dull in the design stand point….as modern cars just look dull…..for example I like Acuras….but I look at a 1980s Acura and a 2016 Acura and thay have gotten soft and rounded and they doent look aggersive like thay did in the 80s and 90s. I’d say ballooning inventories are part of the business. GM overproduced again which is nothing new. They’ve been doing it for years. Most carmakers sometimes build more of some models than there is demand for. What I see as a more significant event for 2016 is the beginning of Chinese imports for GM. They’re likely testing the waters and if all goes well, will shift more significant volumes of production to the other side of the world as time moves forward. When GM’s history is considered 50 years hence, 2016 will likely be more notable for the Made in China Envision than another year of overruns. 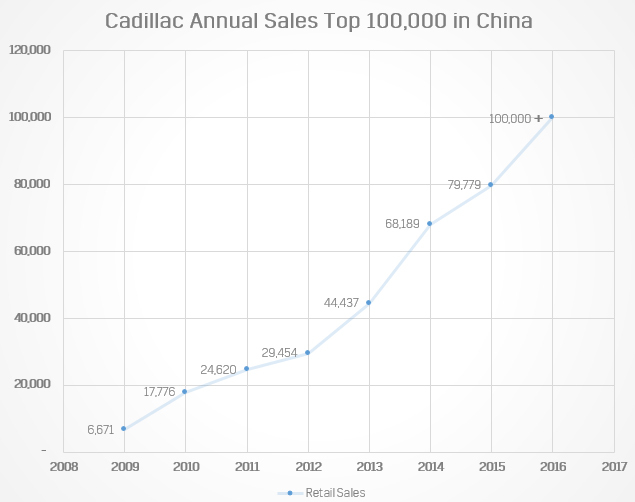 Caidllac ‘s success in China is an important story for 2016 as that will have repercussions that will affect Cadillacs business worldwide. It is entirely likely that the Chinese market will be the single highest volume market for Cadillac by 2020.
if i may put my 2 cents in….. this year Cadillac replaced the SRX with the XT5, making its one CUV as German as possible. i also saw this year that out of every Cadillac the highest selling is the escalade and used to be the SRX. Cadillac is trying to become German in the worst way and its not currently or most likely ever going to work out for them. what did these 2 car have in common, they were the most “Americanized” Cadillac in the lineup. For starters think that Cadillac should make the CUE system optional because it is hurting their sales in a big way. 2 months ago my dad was torn between an escalade and a Yukon Denali, both cars had about the same options and were about the same price, he ended up buying the Denali solely because he didn’t like the CUE system. Cadillac is making great progress with some cars and falling WAY short with others. Also if they want to surpass SRX sales with the XT5, then they need to add a standard gear shift, lower the price a bit and for Christ sake get rid of the GD CUE system. Like virtually every major manufacturer, 2016 has been a bit of a rollercoaster year for GM! There have been hits and misses, and regardless of which direction this economy takes, we’re going to continue to see this company make adjustments. Some for the better, and some to their hurt. Sales slide on the Camaro ZL1 because of many small various factors. 1. A10 Transmission was hyped up huge and delayed by many months. First 2-3 batches of zl1’s were all M6’s, which was not marketed 1/8th the amount the A10 was. 2. Canada was left out of ZL1 ordering. We are scheduled 50 cars for 2017 MY…And they wont be here until april+ at the earliest. We had to sit with deposits ready from summer 16 hoping to maybe get an allocation for a car in sumer 2017…And pray they dont try to throw in a dealer markup and ruin things. 3. Amazing on the track. But just ties the competition in the 0-60, 1/8, 1/4. And HP/tq shouldve been higher, not lower then it’s competitors. 2017 Zl1 650, 2014 gt500 660? 2015 hellcat 707…Big HP/TQ brings sales. New gt500 and hellcat due soon, no doubt they will have 700+, most likely 750-800. GM should announce warrantied stage kits to bring us up to 700+ before competition leaves us behind.